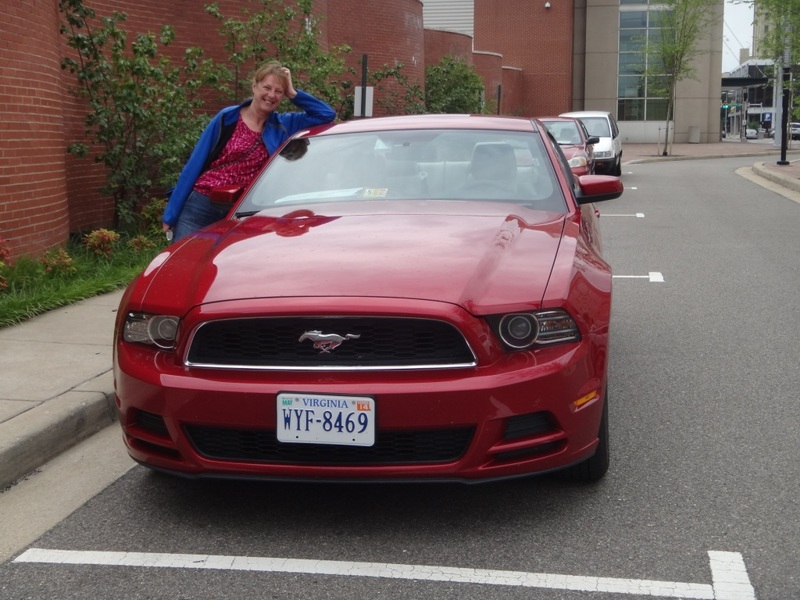 Photograph 1 - Our big red Mustang, taken at Richmond, Virginia. 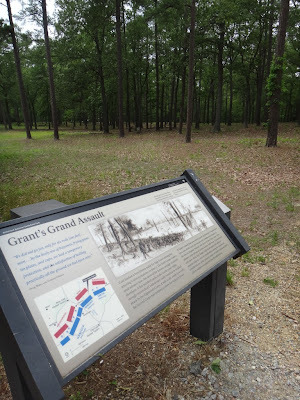 Photograph 3 - Site of the last battle between General Grant and Robert E Lee (1864) at Cold Harbor, Virginia. 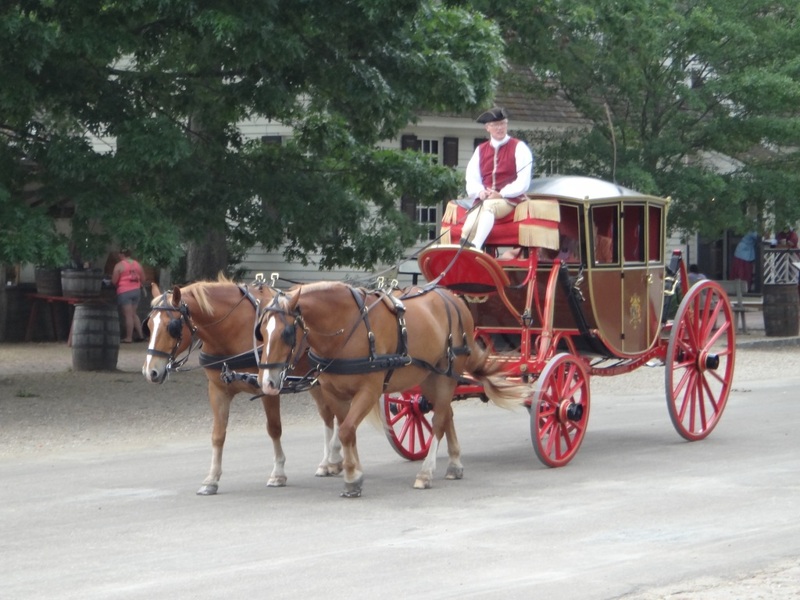 Photograph 4 - Restored Colonial Williamsburg, Virginia - pre-American Revolutionary location. Photograph 5 - The actual site where the Battle of Yorktown (1776) took place, Virginia.--------------------------------------------------------------------------------------------------------------------------------------------------------------------------------------------------------------------------------------------------------------------------------------------------------WE ARE NOW DRIVING AN ALMOST NEW BIG RED FORD MUSTANG - YAHOO!!!! 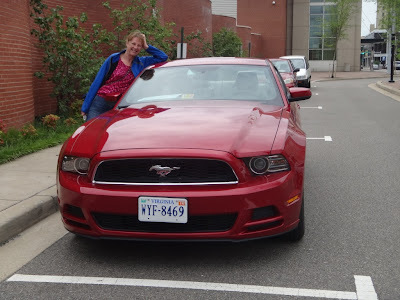 We did have a choice of a silver or yellow Mustang - but we chose RED! It was only a few minutes taxi ride to the Budget Rental deport at the Ronald Reagan Airport in Washington DC and what a dauting experience trying to work out the buttons, controls and basic vehicle preparation. One of the best things we did was to purchase a North American Navman map for our GPS ($100AUD)back in Oz - without this vital device we would be still driving around turnpikes and Interstate Highways. The voice who tells us where to go is christened "Charlotte-Jane" and directs us exactly to the correct lanes and turnoffs. As a backup Anne is the navigator and has a good map (we won't go into that too deeply within this post!!!!!! We left Washington about 9:45am and headed straight for Richmond in Virginia. For those American Civil War (ACW) buffs, this was the capitol of the Confederate States. Richmond is a quiet town but littered with ACW locations. We did stop and visited the ACW Centre to give us an idea about the major events. 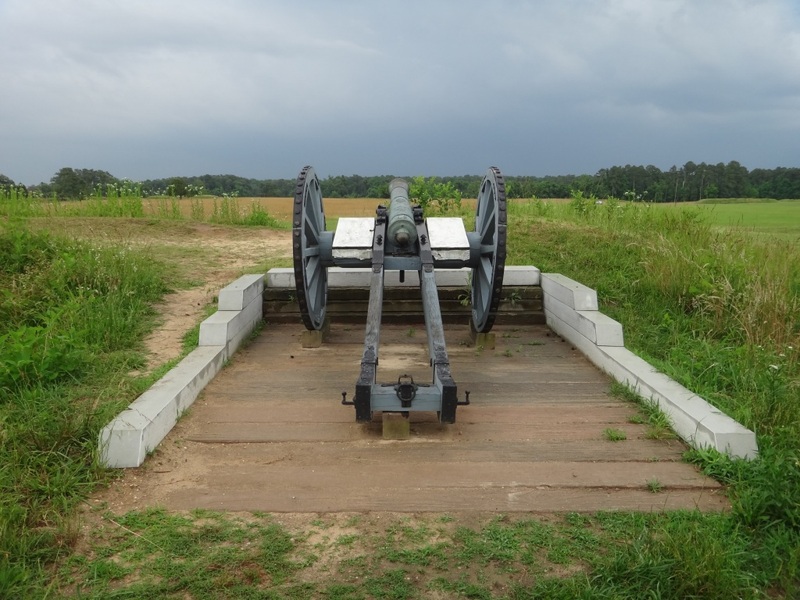 Did you know there were several hundred individual battles during that conflict? We were told by the centre's staff to drive to Cold Harbor nearby. This was the last battle between those famous Generals Ulysses S Grant (Union) and the rebel's General Robert E Lee. 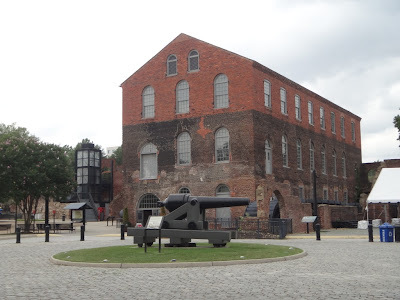 Lee won but it was fruitless as the Confederates were defeated nearby within a few weeks and finished the war. Thousands of soldiers died during the Battle of Cold Harbor. 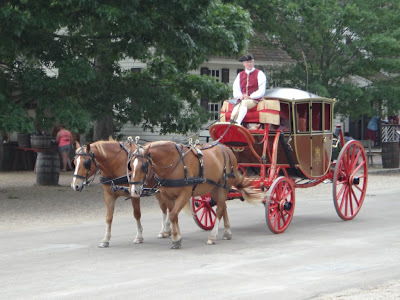 We then drove easterly to Colonial Williamsburg - a restored pre American Revolution town. The buildings are actual buildings of the 16th and 17th century and the town relives that period. People go about in period costume and the houses are still private residences or are shops showing tourists what it was like in them olde days. From Williamsburg it started to rain and the heavens broke - the roads were choked with washouts and traffic. Neverthless we made it to Yorktown the site where British Cornwallis was defeated and ended the American Revolutionary War. The battlefield has been kept as it was back in 1776 and very interesting. We wish we knew more about this conflict to really appreciate the actual event. It was about 5pm and another storm was brewing so we drove direct to our accommodation at Portsmouth, Virginia. The roads were clogged with traffic and we didn't arrive until 6:45pm. Portsmouth and neighbouring Norfolk is the home of the US Navy however because of the rain and inclement weather we didn't see too much from the highways. Apparently there are old aircraft carriers - USS Enterprise and USS America and many other ships in mothballs here. Tomorrow we need to depart early for the 750klm journey to Charleston, South Carolina. Cheers.